Is this head rigged? Frollo looks great! I love the expressions~! You’ve made my day with your beautiful Frollo sculpts~! Thanks, it’s very nice of you ! 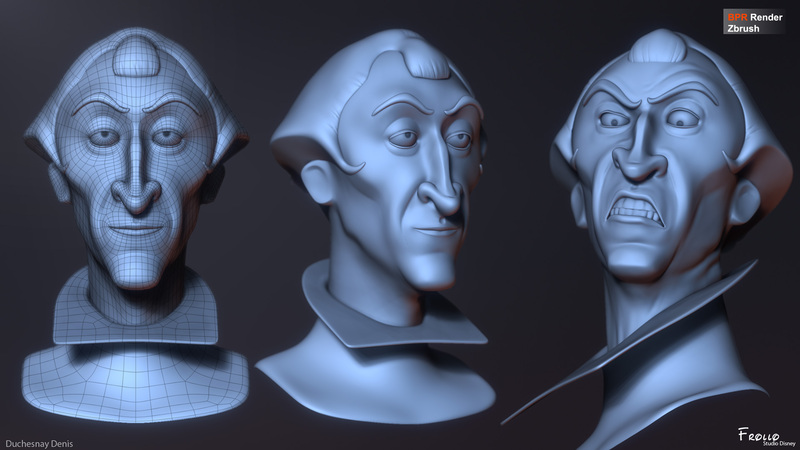 The head of Frollo is not rigged (I have juste use « transpose » in Zbrush). This is juste a personal project. A sculpture based on the design of Disney of Frollo (« The Hunchback of Notre Dame »). Rendering with the BPR of Zbrush.